Kane’s header and low strike gave the visitors a 2-0 half-time lead before midfielder Christian Eriksen fired home the third in the 60th minute. The Hammers had been disjointed and jaded to that point, but five minutes later Mexico forward Javier Hernandez nodded in from close range. Tottenham wing-back Serge Aurier was then shown a second yellow card 20 minutes from time for a late tackle on Andy Carroll. 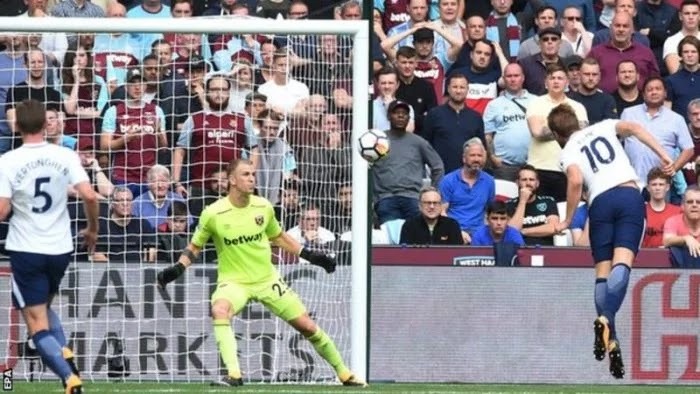 West Ham made their numerical advantage count when Cheikhou Kouyate powered in a magnificent cross from substitute Arthur Masuaku with three minutes left. However, the Hammers – who are 17th – failed to test the Spurs goal again as they lost for the fourth time in the league this season.